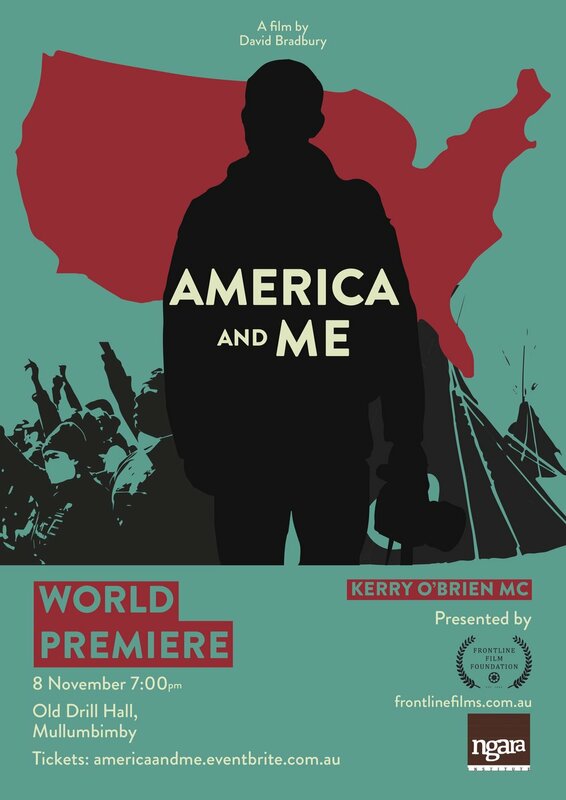 Premiere screening of David Bradbury's latest film AMERICA & ME. A fundraiser to take the film back to the US. AMERICA & ME documents the filmmakers observations over three months in the US during the lead up to the shock election of Donald Trump. A one-man band and always traveling with his camera, David Bradbury was easily able to slip into gear and start filming while on tour of his antimilitarism documentary War on Trial. Eight US cities later he chronicled what was happening on the streets of America; 40 years after Ronald Reagan introduced the economic theories of Milton Friedman and the infamous Chicago Boys to the world. He interviews veterans of America’s failed wars to maintain Empire, gets down in the gutter with the homeless to find out what life is like on the streets, speaks to a nun who was violated by the military junta in Guatemala under the directions of a CIA operative, goes to the US/Mexican border where Trump plans to build the Wall, visits the rust belt of middle America where factories are closed and people are hurting...and ends up at the Standing Rock protest camp for Election Day. These vignettes give context to his critique of the American penchant for Empire, using telling moments from his earlier films shot on the edge of the American colossus – Nicaragua No Pasaran, Chile Hasta Cuando?, Frontline, South of the Border and Public Enemy Number One.